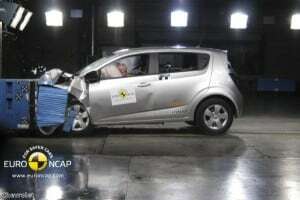 European vehicle safety standards agency Euro NCAP has released a breakdown of what it believes to be the top models tested in terms of overall safety during the last 12 months. The group tested more than 40 new makes of vehicle in 2015 and, from these contenders, it has been able to draw up a shortlist of the best-performing vehicles in a range of categories. Euro NCAP highlighted the considerable upshift in performance that has been seen through manufacturers focusing on the latest standards in recent months. Indeed, the body noted a disparity in the results between those models that were designed with meeting these factors in mind and those that were not. Moreover, the organisation revealed the introduction of its new full width frontal impact test has led to a considerable uptick in the fitting of rear seatbelt pre-tensioners and load-limiters across all sectors, while at the same time the major trend of autonomous braking technology has continued to become more widespread. Looking forward, Euro NCAP predicts that those manufacturers that are willing to embrace the latest technologies will continue to deliver the safest and most reliable vehicles, with 2016 set to be another fine year for automotive excellence across Europe.